Arrogance pour Homme (Eau de Toilette) is a popular perfume by Arrogance for men and was released in 1982. The scent is spicy-leathery. Projection and longevity are above-average. It is being marketed by The First. I am a little excited writing aabout my father's scent: many memories come to my mind looking at this bottle and smelling this aromatic jus. But I'll try . In this elegant bottle as black as the grand piano we owned and He played everyday there's a classy and multifaceted fragrance , just like the" Rhapsody in blue" by George Gershwin which was the soundtrack of my parents' life . But this one could be described as a "rhapsody in black" with a spicy-citrusy ouverture, a flowery-woody heart with an earthy patchouli note and a "gran finale" of moss, animal notes, benzoin and a warm amber. The sillage is good as well as the longevity. I remember he wore this perfume in many different occasions: with a sporty outfit or with his smoking before a concert. Me too, nowadays, when I want to feel my father ("flown away" 22years ago) still close to me I spray this scent on my feminin skin and the result is surprisingly pleasant: deep but with the gentle flowery touch . The bitter-citric overture is to my taste. Artemisia awakens the senses for the surprise: Patchouli combines with carnation and rose petals to form a fierce cloud of cannabis! But not this nasty Berlin-Kreuzberg street mix of the present, but the best Afghan of the flower children era. Yes, I know him, he was unsmellable everywhere back then, and I, nonsmoker, really liked to smell him. What a blissful heart note. The joint is followed by a long trip with resinous, mossy and amber notes that waft almost psychedelically into each other in fine smoke. Beautiful and relaxing. Conclusion: Arrogance does not correlate with manhood, but with courage. It's gonna take him. Reward: an enjoyable fragrance from the first to the last minute. Nefertiti has a nice smell, Ikhnaton says. I discovered this scent in my dad's collection, and it was not love at first sniff. Initially it reminded me of Azzaro Pour Homme, which I honestly dislike it. Now I know I was wrong. But I kept it on my wrist, and after an hour or so, I start enjoy it quite a bit . Is so animalic an deferent that all of my fragrances, so I both a bottle for myself. To my nose is smell like a mix of YSL Kouros and Givenchy Gentleman. I have the 2000's reissue version made by The First SPA, and is still a beast, not really like the vintage one (by Schapparelli Pinkenz) which my dad is owning, but is close. Truly a hidden gem, I can't wait to try more fragrances from 80's, like VC&A Pour Homme. 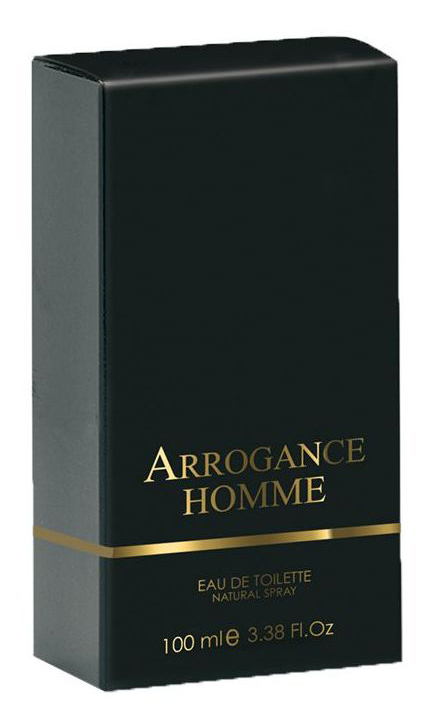 *This is a review of the original Arrogance pour Homme. Arrogance pour Homme (vintage) opens with a gorgeous rose and lemon combination supported by early hints of the soapy oakmoss and patchouli tandem to come. As the fragrance enters its early heart, the lemon disappears leaving the relatively dull rose and the now starring intensified soapy oakmoss and patchouli combo from the base, supported by a honey-like accord, carnation, and just a touch of dirty cumin spice with other subtly implemented culinary herbs for good measure. During the late dry-down amber from the base sweetens the remnants of the still starring soapy oakmoss and patchouli, as the cumin and florals become nearly undetectable. Projection begins outstanding but becomes slightly above average a couple hours into the development, with longevity slightly above average at 9-11 hours on skin. This one is a keeper. 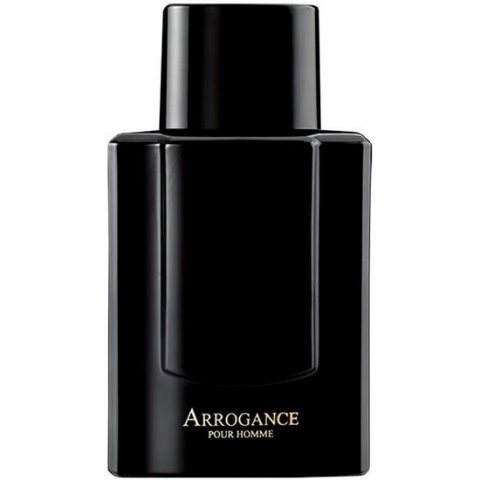 Arrogance pour Homme (vintage) comes on strong like the 80s powerhouse patchouli bomb it is, and you immediately smell the large amount of soapy oakmoss rising from the base that you will never find in any contemporary releases due to restrictions on the ingredient. That said, things calm down in time and the composition actually becomes much more versatile than one might think after a couple hours. The rose used throughout the composition is not the big heady floral bouquet you might expect, but instead is a very dark and dulled implementation of the flower with the carnation keeping the rose well in-check. Cumin is a spice I don't get along well with, but while I am sure there is some in here (despite it not being a published note) it adds just a hint of dirtiness to the composition while avoiding coming off as bad body odor. To give folks a bit of an idea as to what one should expect here, the closest fragrance Arrogance pour Homme (vintage) resembles early is Van Cleef & Arpels pour Homme (vintage), leading later to a combination of Captain Molyneux (vintage) laced with some of the honey accord found in Antaeus (vintage) for added measure. As all three of those are classics and some of my absolute favorites the fact that Arrogance pour Homme meshing perfectly with my tastes should come as no surprise. 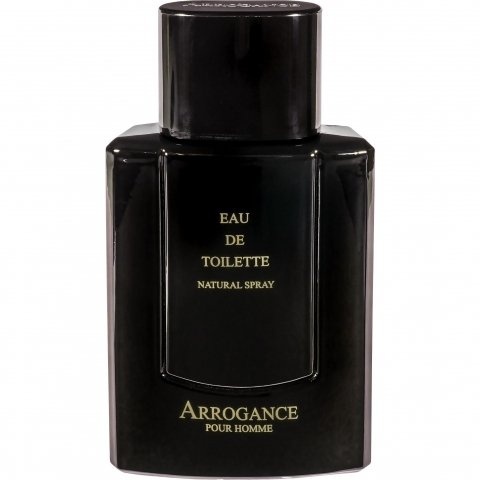 The bottom line is the still relatively easy to obtain approximately $50 a 100ml bottle on the after-market Arrogance pour Homme (vintage) may not be entirely original, but it deftly combines many of of the best aspects of other classic fragrances from the time period yielding an outstanding 4.5 star out of 5 rated result. Highly recommended to 80's powerhouse lovers for sure!